Muhammad Ali is dead at 74 years old. In the next few days, there will likely be a lot of looking back at Ali's athletic career — as one of the best boxers to ever live. But Ali was also Muslim, and in the last few months of his life, he refuted some of the Islamophobic rhetoric that has permeated the current presidential campaign. 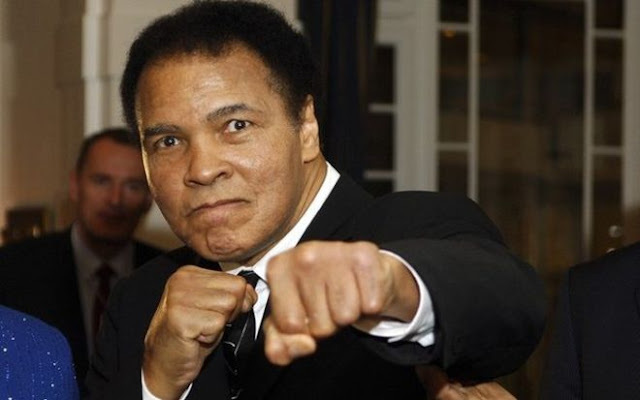 Specifically, in December, a few days after Donald Trump suggested that there are no Muslim sports heroes, Ali struck back at the Republican presidential candidate's call to ban all Muslims from entering the US. 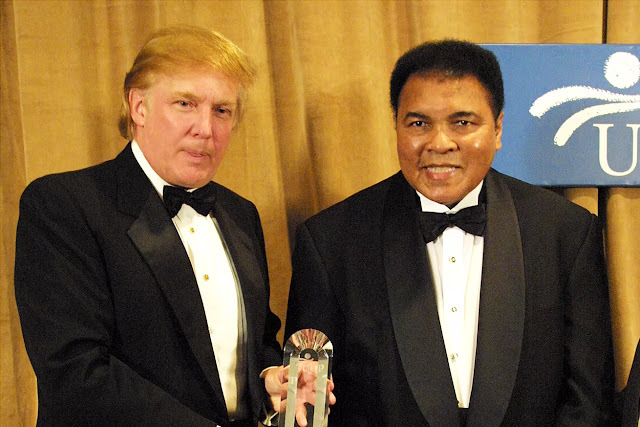 It was nice to see a prominent figure like Ali stand up to Trump, who has built his political campaign on xenophobia and racism — by calling Mexican immigrants "rapists," arguingthat a federal judge should exclude himself from a court case against Trump Universitysolely because of his Mexican ethnicity, and, most relevant to Ali, proposing a ban on Muslims entering the US. But it's also a bit tragic that we seem to expect prominent Muslim figures in the US to apologize for the actions of a few violent extremists who don't represent the majority of Muslim Americans.